CLEVELAND (Ohio) • No matter how long J.R. Smith's contract dispute dragged on, Cleveland Cavaliers coach Tyronn Lue never went there. He never allowed himself to think about what life in the National Basketball Association would be like without his top three-point shooter. "I didn't look at (life) without him. Nope," Lue said. "I knew he was coming back." Smith paid his first dividends since inking a four-year deal worth as much as US$57 million (S$79.33 million) by sinking three three-pointers in the final 31/2 minutes on Saturday. 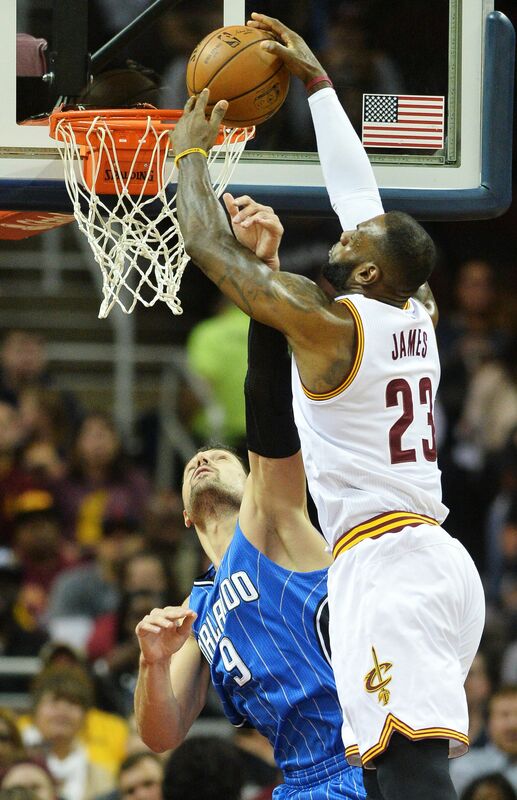 The Cavs pulled out a 105-99 win over the Orlando Magic after squandering the bulk of an 18-point lead entering the fourth quarter. LeBron James had 23 points, nine assists and six rebounds, Kyrie Irving scored 20 points and Smith shook off another slow start to score 16 points, including 11 in the fourth quarter. Kevin Love fouled out in the final minute with 19 points and five rebounds for the Cavaliers, who are 3-0 to begin the season. The Cavaliers were in control most of the night, but began the fourth quarter shooting just 2-of-12. After they went more than five minutes without a field goal, a driving basket by Orlando's D.J. Augustin pulled the Magic within 86-80. A jumper by Elfrid Payton made it 88-85 with four minutes left. "I just thought there was a stretch in the game where we messed around, took some bad shots," Lue said. "I thought we let our guards down because of their record (0-3) and not playing them as a good team." Smith missed most of the pre-season due to a contract dispute and Lue believes the guard is still trying to play his way back into shape. Smith began the night just 4-of-15 from behind the arc in Cleveland's first two games and he missed six of his first seven three-pointers on Saturday. Evan Fournier scored 22 points and Serge Ibaka had 19 points and seven rebounds for the Magic. Augustin scored 13 points off the bench. "We're remaining confident, whether we're looking at being 0-3 or having a 17-point deficit at the half against the world champions," Magic coach Frank Vogel said. "We held the world champions to (41) per cent shooting. That was good. But LeBron is a pick-your-poison type of player, so you try and do your best with it."